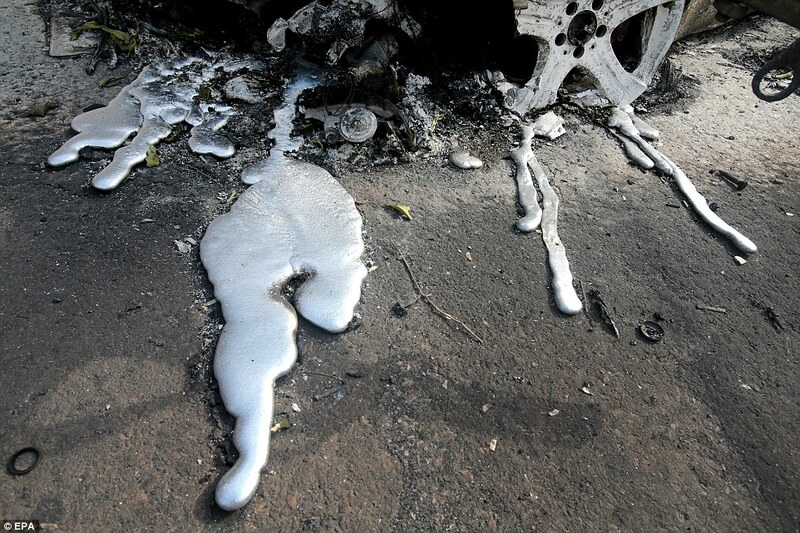 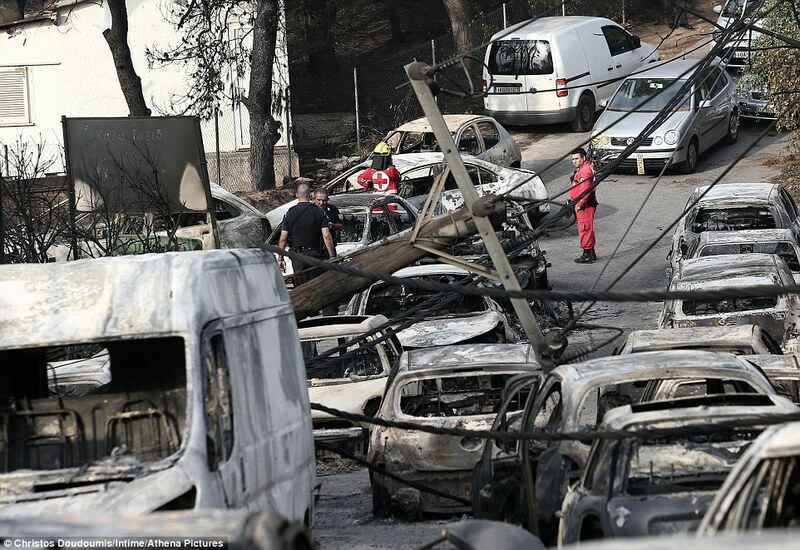 KEY POINTS: What else could have produced the extremely unusual damage of streets filled with burned out automobiles right next to trees and buildings that remained unscathed but DEWs (Directed Energy Weapons)? 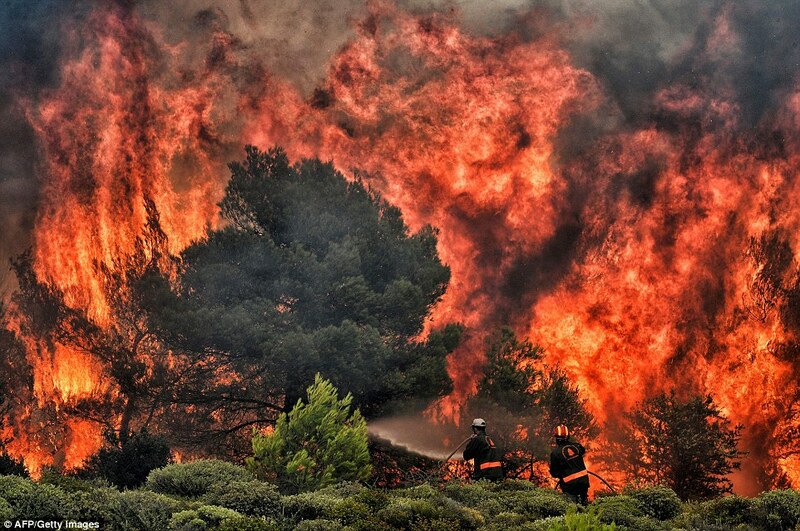 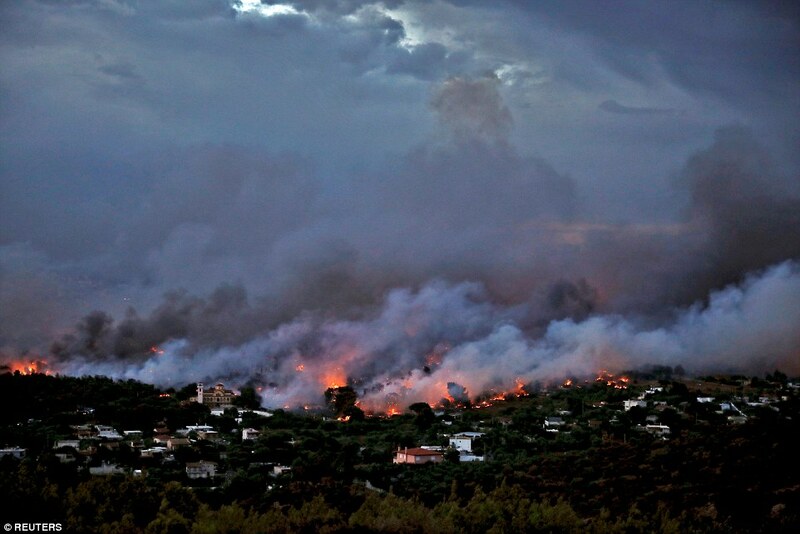 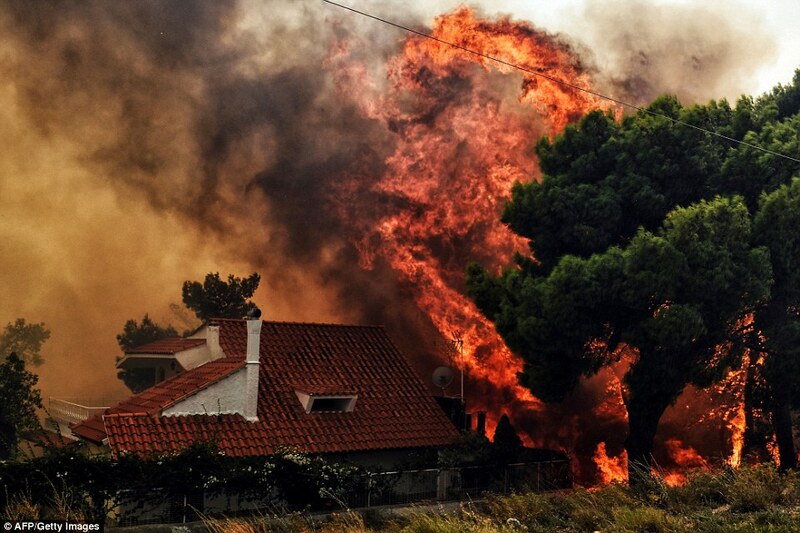 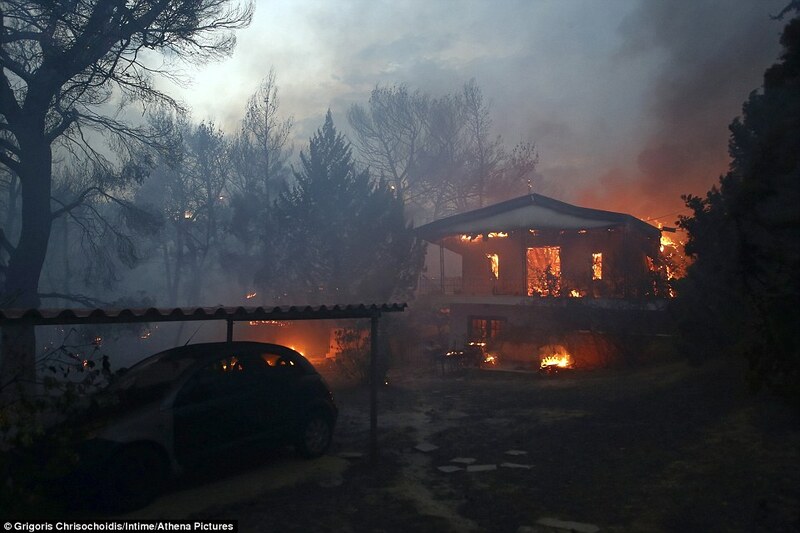 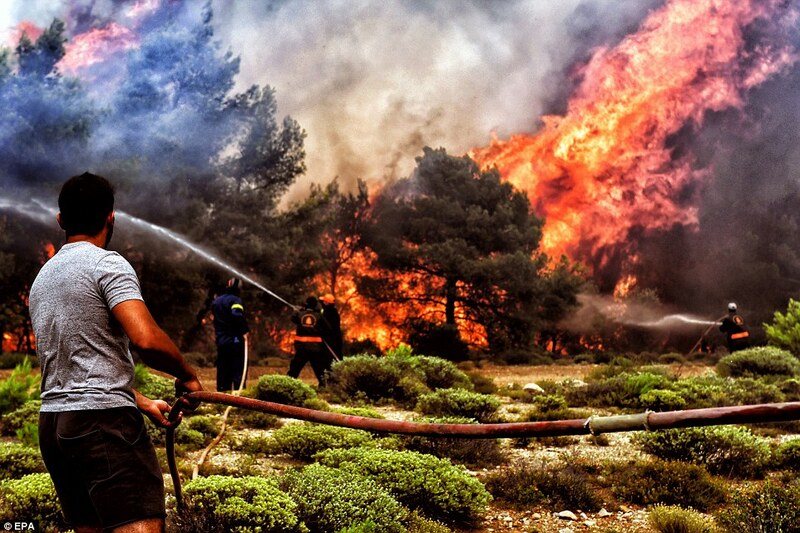 See: Greece Attacked With Directed Energy Weapons (Video) This DEW and arson attack on Greece, then, appears to be an act of sheer intimidation so that the government in Athens does not join Italy in rebelling against the European Union. 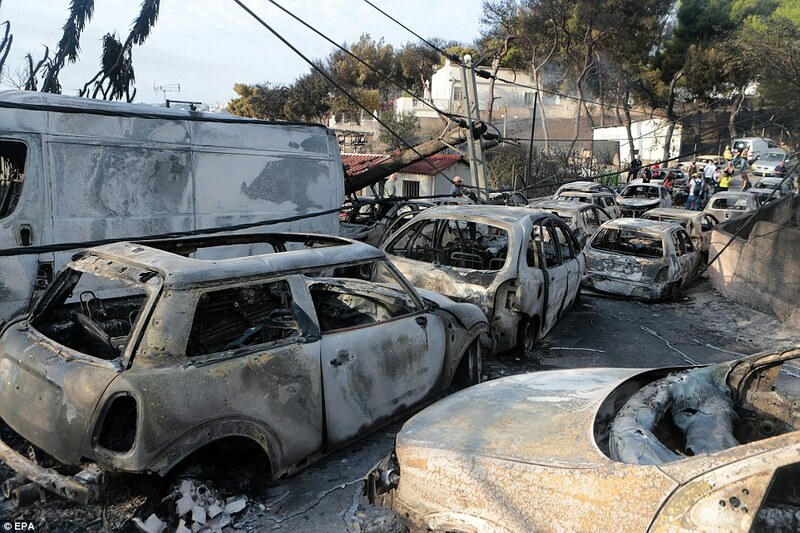 Even more significant is the necessity of the EU keeping Greece in line regarding immigration. 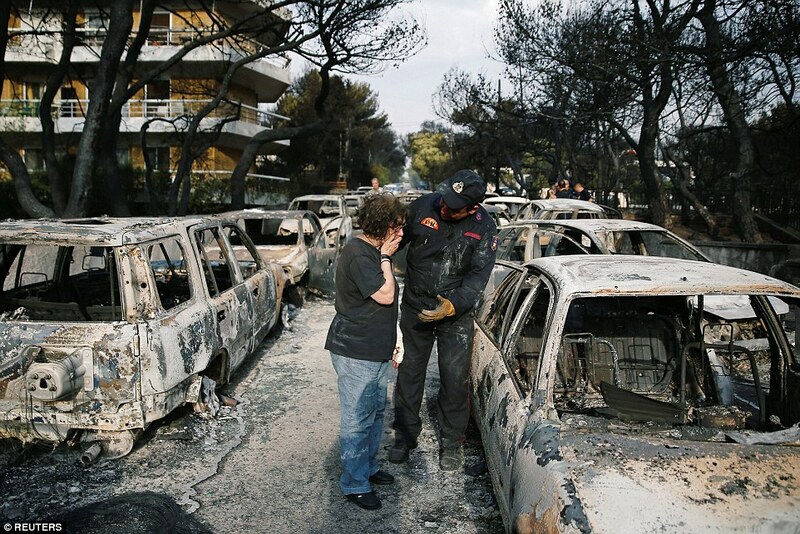 Greece is the key link in the chain for war refugees and economic immigrants traveling from the Middle East and North Africa now that Italy has shut down the Italian peninsula route. 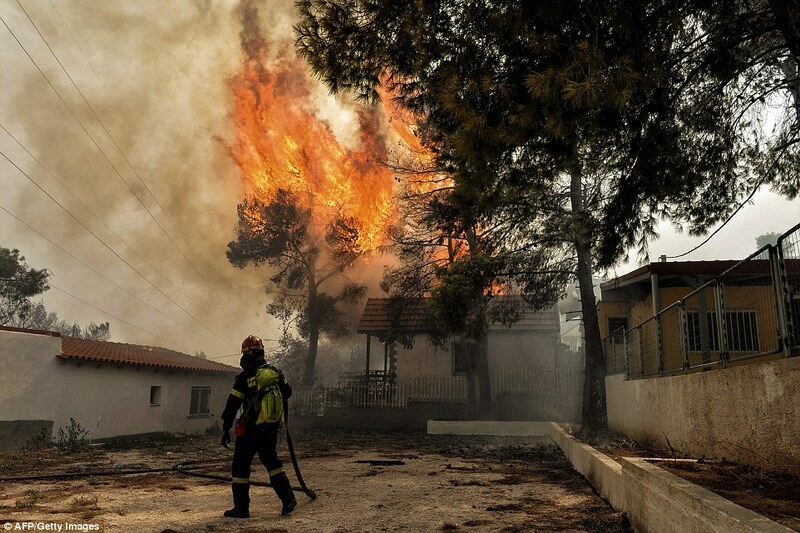 Greeks are now protesting the influx of migrants like never before: Violence flares at Greek island protest over migrants. 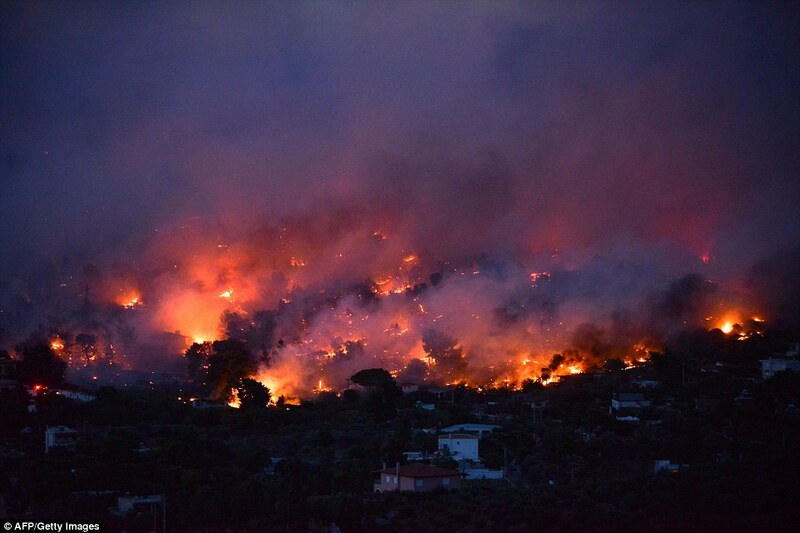 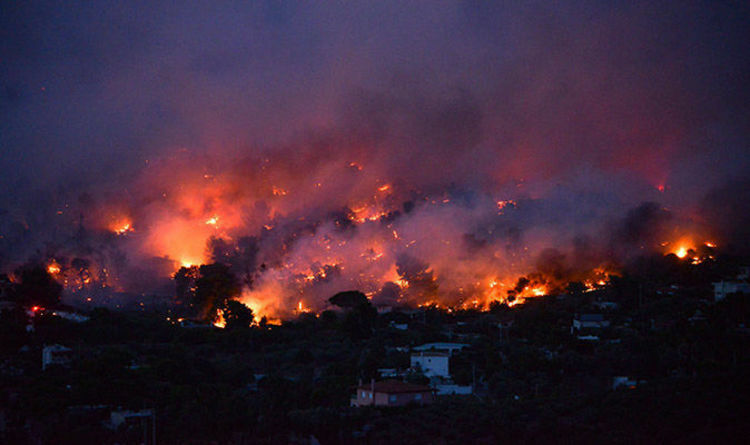 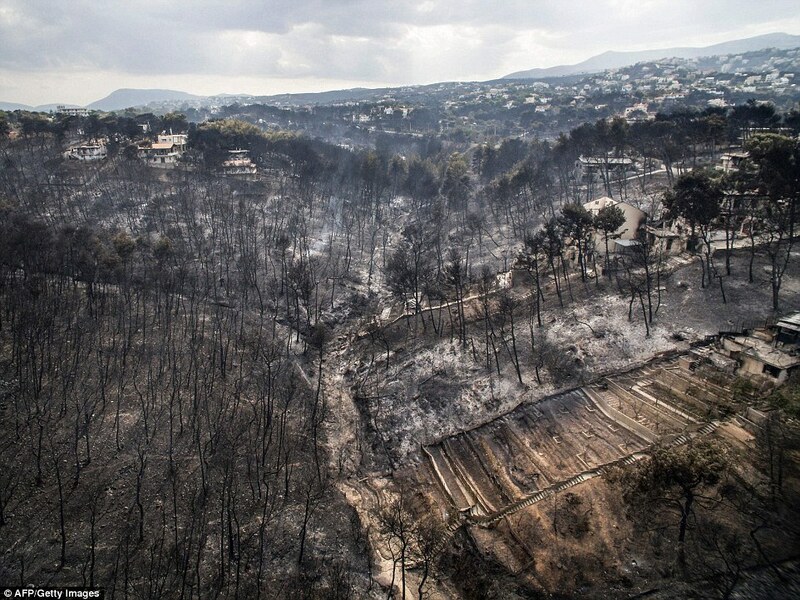 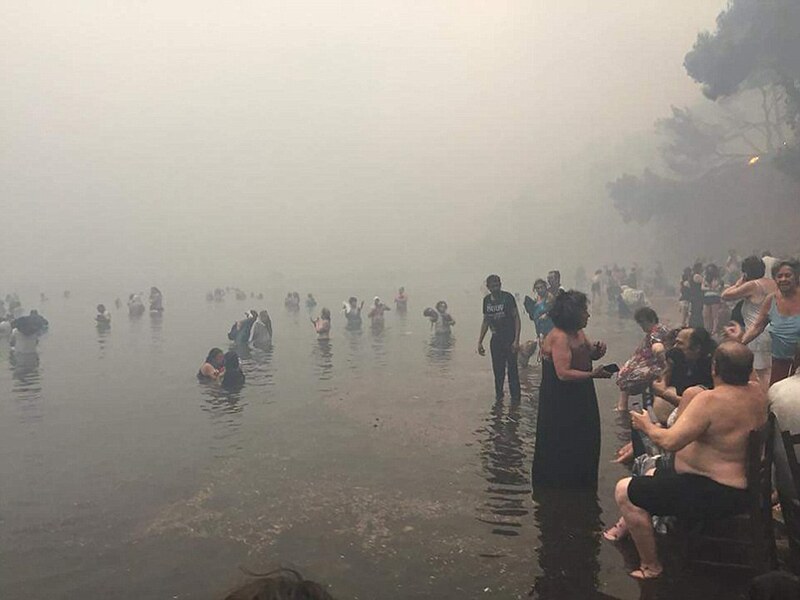 Consequently, the greater Athens area was sent a message via geoengineered wildfires as the subsequent firestorm destruction and chaos make it much harder to organize protests. 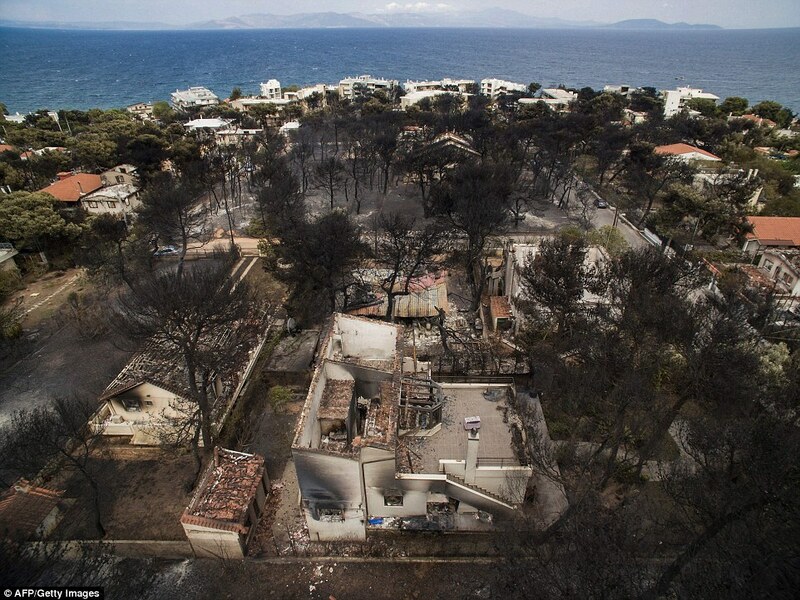 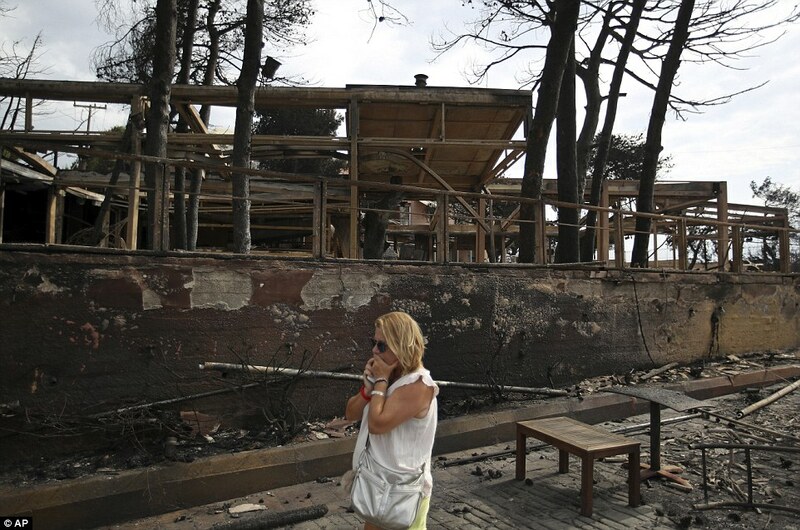 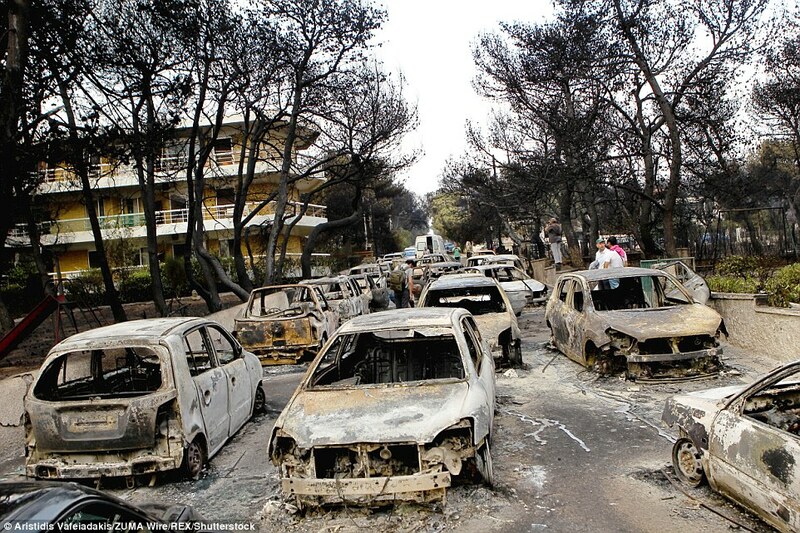 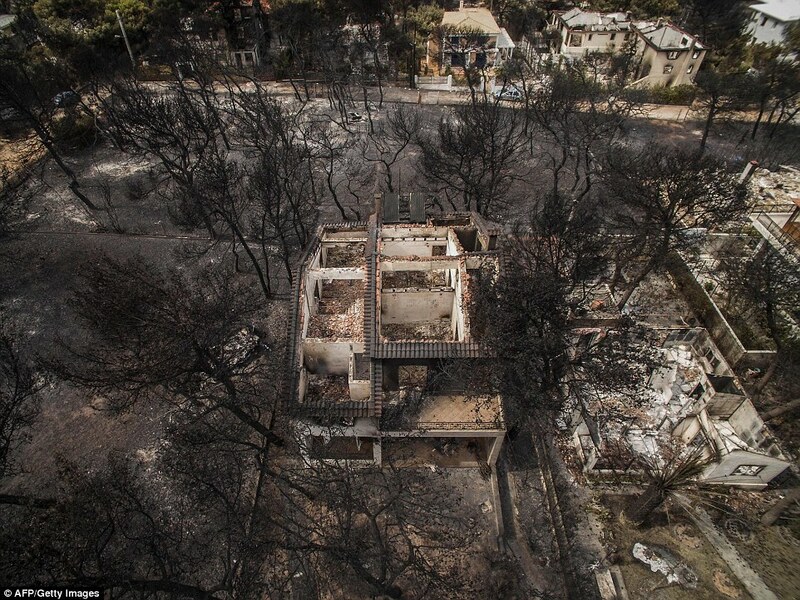 Chaos can take many forms as seen in this new report on the “blame game” that has erupted in the wake of so much catastrophic damage to such large swaths of upscale Greek housing (Blame game blows up over deadly Greek wildfires). 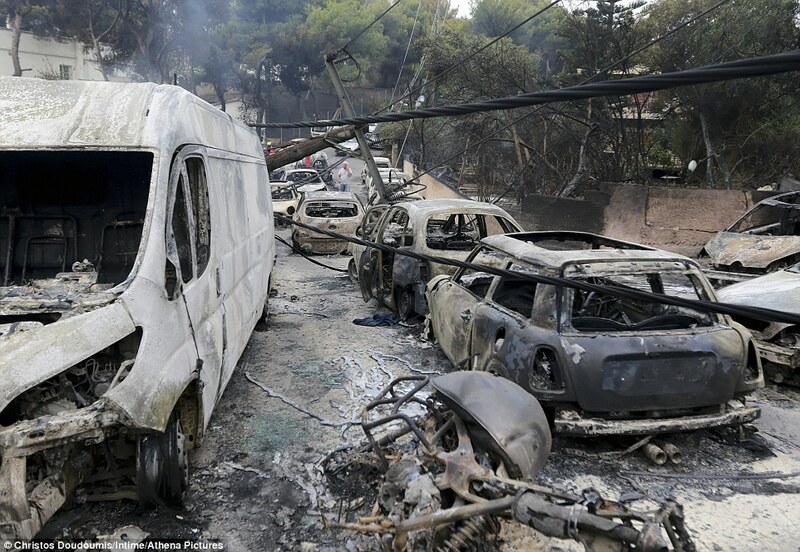 The perps now have the citizenry fighting among themselves instead of prosecuting the real culprits.